Tagged Adobe, NAB 2013, Premiere Pro. Bookmark the permalink. Awesome article. I’m excited to hear that adobe is still taking premiere seriously. New version of Premiere is always exciting! Improvements are pretty impressive, eager to get my hands on it. * in “rectified” mode – what if the left audio channel is silent – left and right channel histograms should be overlapped instead of just showing “the top part”. * why there’s that grey fx icon when there’s no effect applied? This icon should be hidden. And as you said, there’s a lack of presets for button, there’s no indicator of speed changes. But these are little things near the overall amount of improvements. Duplicate frames indicators are awesome! 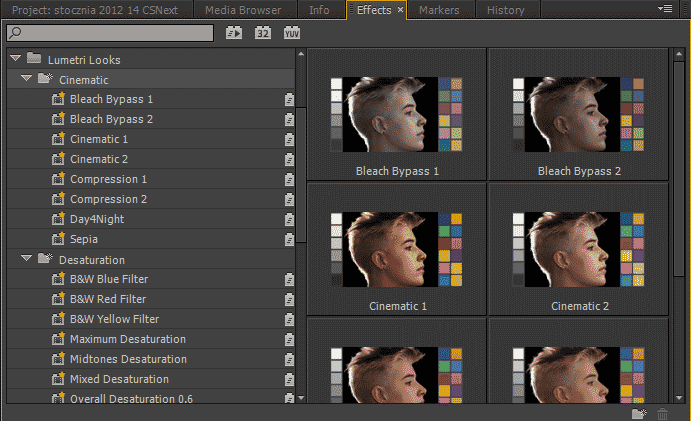 Thumbnails for effects is a good addition, but unlike in Vegas and Premiere Elements they are only for Lumetri presets. 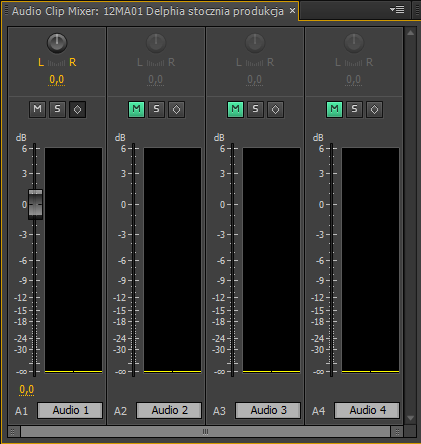 In rectified waveforms if there are two channels, both are shown, and both are only showing the top part, so it’s not that you’re loosing any information from any of the channels. The gray fx icon is there for you to select an effect to keyframe in the timeline. 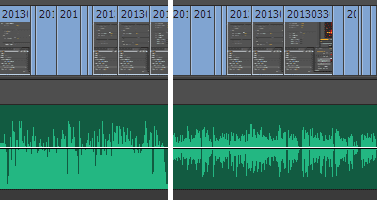 It serves the role that the twirl-down menu with effect name served in CS6, so I have no problem with it always being shown in the timeline. I’d love to be able to hide all fx icons though. Outstanding review, thanks for sharing! It even covers several improvements not mentioned on Adobe’s official site/blog. One thing I’m curious about is this: “Title tool is in need of replacement”. IMO, PP’s Titler is the best out of all NLE, although I still see several areas that could be improved. Do you know of a titling tool in another program that’s better than PP? If so, I’d like to check it out for inspiration for sending new FRs to Adobe. What I lack in the titler is the possibility to animate anything. 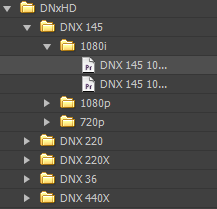 I actually prefer to make titles in Premiere than AE if I don’t need to animate them, but I agree, animations are missing in PP. It would be great to be able to export PP titles into AE, or better yet, apply AE title animations directly from within PP! Premier Pro titles cannot be opened in PS- this needs to change. I couldn’t agree more, although I’ve not heard about anything done in this direction. 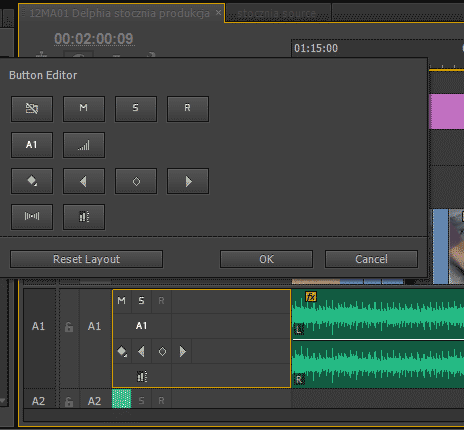 One thing in button editor is missing – media source timecode.. But, anyway, seems that this will be a great release! I think it’s one of the common requests, although whether and how it will get implemented is a different story. There are some hidden updates to the timecode panel, but they don’t fullfil the need to display the timecode to an external monitor.